Instability in engineering is generally not a good thing. If you’re building a skyscraper, minor instabilities could bring the whole structure crashing down in a fraction of a second. But what if a quick change in shape is exactly what you want? Soft machines and robots are becoming more and more functional, capable of moving, jumping, gripping an object, and even changing color. The elements responsible for their actuation motion are often soft, inflatable segments called fluidic actuators. These actuators require large amounts of air or water to change shape, making the machines slow, bulky and difficult to untether. A team of researchers at the Harvard John A. Paulson School of Engineering and Applied Science (SEAS) has engineered a new, soft actuator that harnesses the power of instability to trigger instantaneous movement. The research was led by Katia Bertoldi, the John L. Loeb Associate Professor of the Natural Sciences, member of the Kavli Institute for Bionano Science and Technology, and faculty associate of the Materials Research Science and Engineering Center. The work is described in a paper in the Proceedings of the National Academy of Sciences. 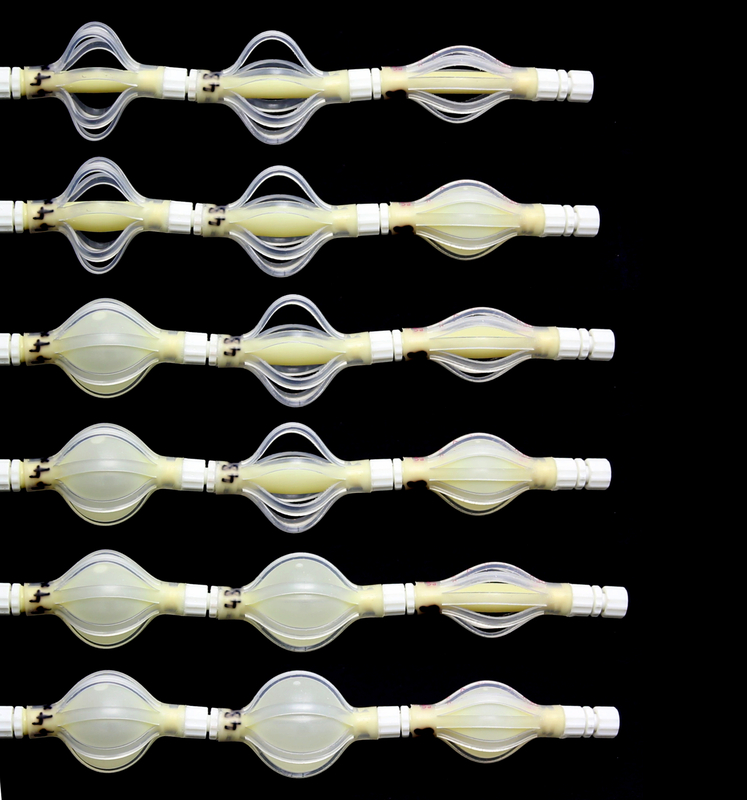 The actuator is inspired by a famous physics experiment in which two balloons are inflated to different sizes and connected via a tube and valve. When the valve is opened, air flows between the balloons. Instead of equalizing in size, as one might expect, the larger balloon inflates more while the smaller balloon deflates. This unexpected behavior comes from the balloons’ non-linear relationship between pressure and volume, meaning an increase in volume doesn’t necessarily increase the pressure. These fast-moving instabilities, called snap-through instabilities, trigger large changes in internal pressure, extension, shape, and exerted force, with only small changes in volume. 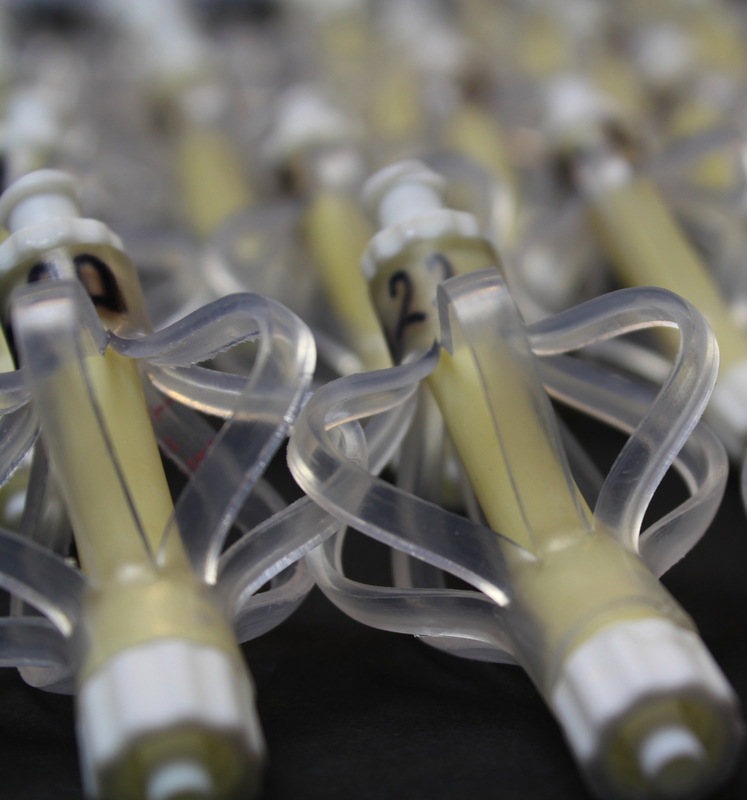 If harnessed, these instabilities would allow soft robots to move quickly without needing to carry or be tethered to a fluid supply. But first Bertoldi’s team had to find a way to control something that, by definition, is uncontrollable. The team started by building and inflating 36 individual segments with water, and measuring how they responded. Then, using a complex computer algorithm, they determined the responses of all possible combinations of the segments. 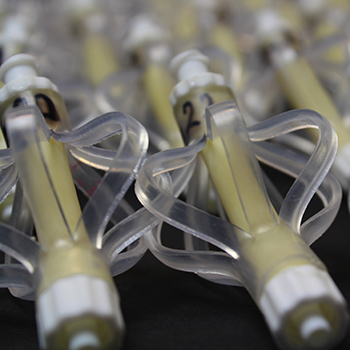 A total of 630 possible actuators could be assembled from two segments, each with a different combined response. Some of the combinations showed instabilities, others did not. The team selected the preferred response for a specific application. One combination, for example, would lead to a sudden increase in actuator length, moving it like a worm. Another combination would quickly transfer all volume from one segment to another. These quick movements could be triggered with small amounts of volume. For example, 1 ml. of water triggered a snap-through instability that resulted in an internal volume flow of 20 ml. The next step is to test these instabilities in soft robotics. This research was co-authored by Tamara Kloek and Jonas D’haen. It was supported by the Materials Research Science and Engineering Center and the National Science Foundation. The soft actuators inflated with water. Quick movements could be triggered with small amounts of volume. For example, 1 ml. of water triggered a snap-through instability that resulted in an internal volume flow of 20 ml.